Long before Sonja Henie, before Belita, before other great divas of the ice like Dorothy Hamill, Janet Lynn, Katarina Witt and Michelle Kwan, Germany's Charlotte Oelschlägel paved the way with her mesmerizing and innovative performances, making a whole generation fall in love with love with skating and pioneering the professional skating movement. Born in Berlin, Germany, Charlotte was not only a precocious figure skater but a talented musician as well, performing on stage with the Berlin Philharmonic orchestra at age seven, three years before she even started skating. She excelled at playing the piano, harp, lute and mandolin and only ended up on the ice originally as the result of medical advice, her doctor advising her start skating as a treatment to nervous and growth issues. First skating under the tutelage of Paul Münder, Charlotte skated originally as part of a duo with her brother Fritz. A 'pre-teen' by today's terminology, Charlotte bypassed a career in the 'amateur ranks' and embarked on a professional career despite her father's disapproval of her getting into show business. 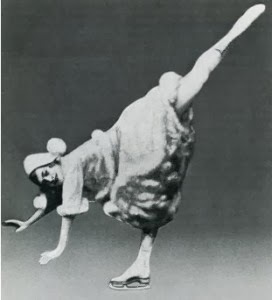 By 1909, she was starring in Eisballets at Admiralspalast in Germany, which were essentially combinations of pantomime and musical comedy acted out on ice skates. When these productions became cost ineffective in Germany at the onset of World War I, Charlotte made history in becoming the first performer to star in a Broadway show when she appeared in 'Hip-Hip-Hooray!' at the New York Hippodrome with twenty other Eisballet performers. This show kicked off four hundred and twenty five performances by Charlotte in three hundred days days. Following "Hip-Hip-Hooray", Charlotte traveled the U.S. with "Hip-Hip-Hooray" and went on to star in another successful production called "Get Together" which had a nearly four hundred performance run. Charlotte not only starred in the "Red Shoes" ice ballet in "Get Together", but choreographed for the production as well. 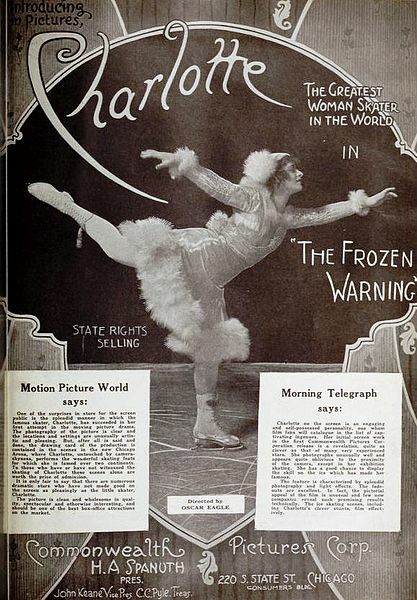 Natalie Merchant's beautiful song "Frozen Charlotte"
An instant star with American audiences, Charlotte also made history when she became the first skater to star in a film (a six-part serial called "The Frozen Warning") filmed in Chicago in 1916. Her performances highlighted excellence not only in free skating (she was the one of the first female skaters to include single Axel jumps in her programs) but in compulsory figures, which were held in high regard by audiences early in the 20th century as being as much a measure of a skater's merit as their free skating skill. Her performance in "The Frozen Warning" was certainly memorable. Her character, a college student who learned of a plan to steal government secrets, carved out the word 'SPIES' with her two skates at a skating party she attended. A frozen warning indeed! Charlotte was not only a larger than life personality and thrilling artist, she was an innovator as well, the inventor of the 'Charlotte' flexible spiral like movement popularized by skaters like Sasha Cohen and Michelle Kwan in recent years and long a ice show standard. In the year 1928 in Budapest, Hungary, with her second husband Curt Neumann, she performed a version of the one-arm death spiral. The death spiral, performed on a backward outside edge, is now obviously a staple of pairs skating. In 1925, she was also the first ice skating artist to perform at Madison Square Garden. 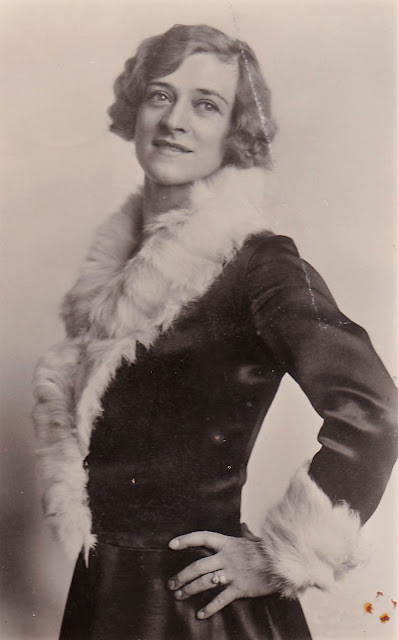 After giving performances in Mexico and Cuba, Charlotte skated for North American audiences for the last time in 1929, appearing in a show in Cincinnati, Ohio. Exactly ten years later, her professional skating career was cut short when World War II came to a head, her passport confiscated by the Nazis around the time of her mother's passing. A survivor of two World Wars, Charlotte worked as a coach at the club Grunewalder TC in Berlin, retiring in 1976. 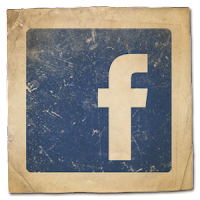 Sadly, her story came to an end when she passed away at a retirement home in Barbarossastraße, West Berlin in 1984. She was inducted into the World Figure Skating Hall Of Fame the following year, recognized for her remarkable and pioneering contribution to the sport's history. Roy Blakey has a wonderful tribute to Charlotte on the website for his IceStage Archive which features wonderful posters and memorabilia from his collection relating to her career which you definitely need to check out. Gone but not forgotten, Charlotte was a true pioneer of professional figure skating and one of the sport's first real stars.